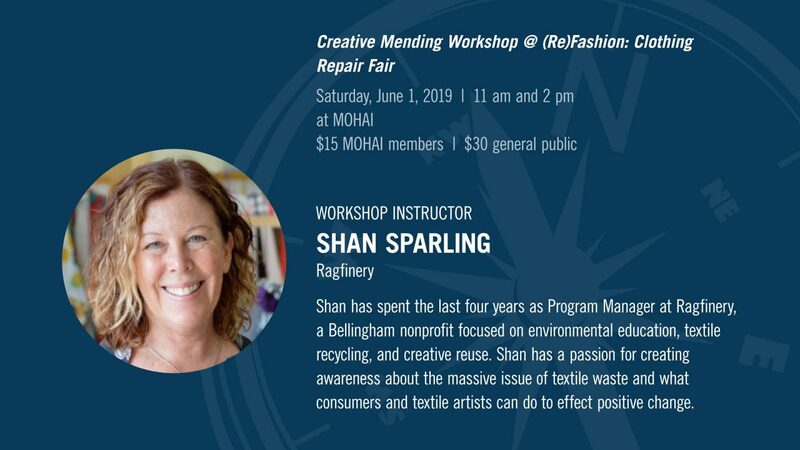 Become part of the sustainable fashion movement as you learn from repair experts Erin Eggenburg and Shan Sparling! 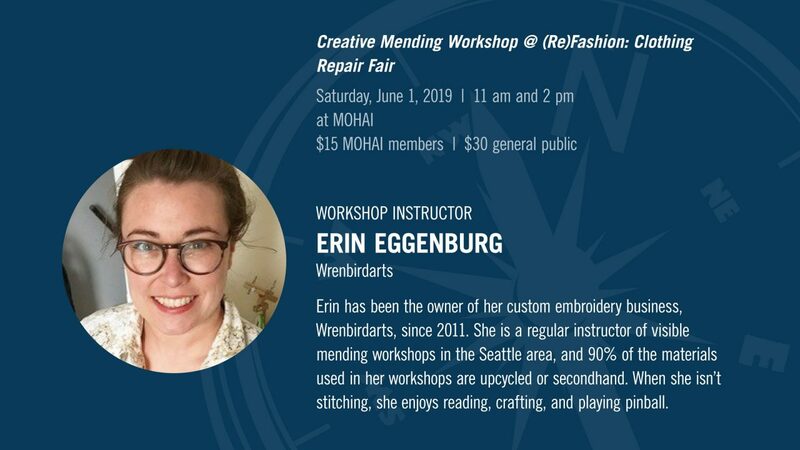 Learn the art of visible mending and multiple ways to repair your favorite clothes in this special two-hour workshop. 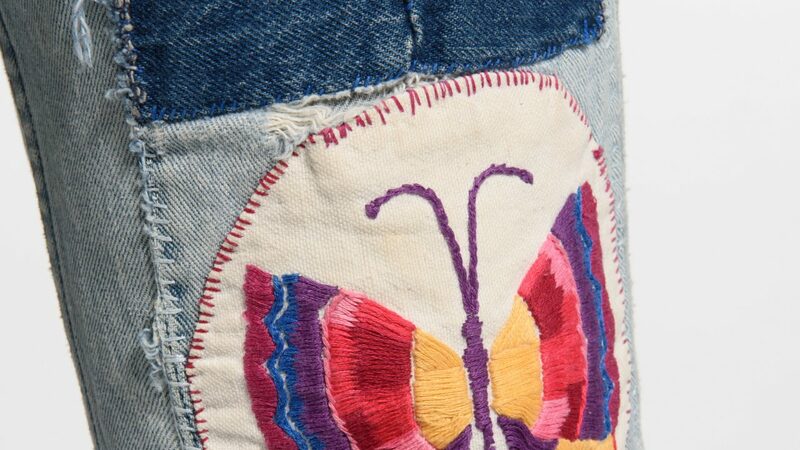 Visible mending techniques include darning, embroidery, boro patching, and sashiko-style denim repair. Each method is unique, but uses hand stitching as a way to repair textiles, extending the life of the clothing while adding beautiful, artful embellishment. Come early or stay late to view our special exhibit Seattle Style: Fashion/Function and participate in our (Re)Fashion Clothing Repair Fair.